Winter is coming! Wish I functioned as well in the cold as an eagle riding on the Ruach! 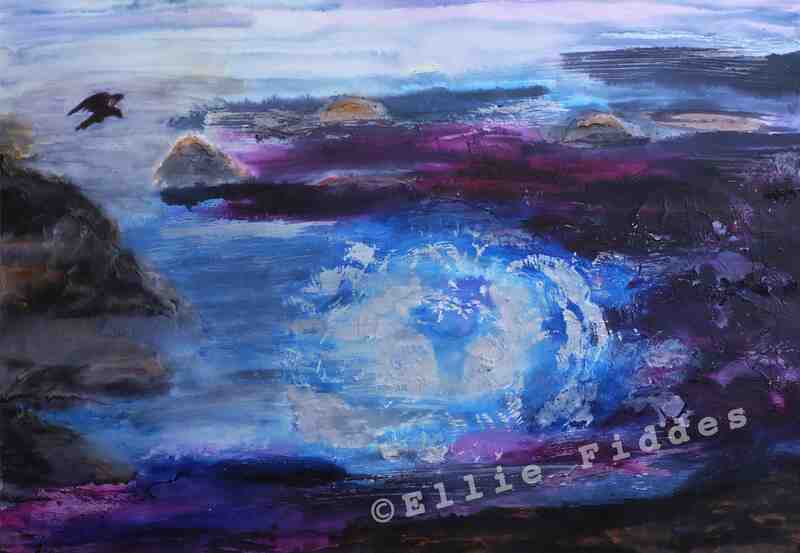 This entry was posted on October 29, 2015 by Ellie Fiddes. It was filed under artwork, Exhibition and was tagged with Angus Open Studios, AOS, Artwork, autumn, eagle, ink, ink and plaster, mixed media, plaster.